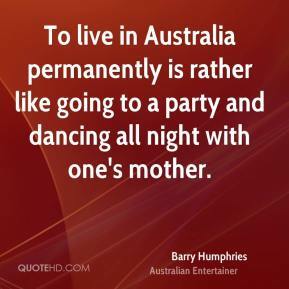 To live in Australia permanently is rather like going to a party and dancing all night with one's mother. 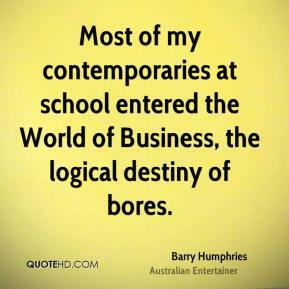 Most of my contemporaries at school entered the World of Business, the logical destiny of bores. My parents were very pleased that I was in the army. The fact that I hated it somehow pleased them even more. New Zealand is a country of thirty thousand million sheep, three million of whom think they are human.